Jul 16 The WHOLE30. What is It? And My Day 20! This is just a quick little post. 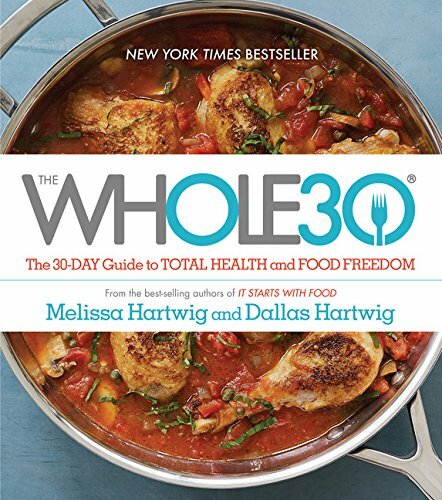 I just have to write something here about my first experience with the Whole30 plan. My husband calls it a diet. I call it a lifestyle. Either way, in the past 19 days, it has significantly changed both of our lives for the better. I know this picture is kind of Lame-O, but it appears my email is not working to download photos from my phone at this time. Hmmmm. This is the Whole30 Bible! It has its own altar in my kitchen! Just kidding! But I have looked at it at least once every day since I started this! When I first heard of it, I had two reactions: 1. NO way do I want or will be able to do that! and 2. Maybe I should at least give it a try? If others have had success, maybe I could too? Here is where I was just 19 days ago: About 15 pounds overweight, and continuing to gain. Feeling tired, sluggish, and just overall fatigued. I had no desire to move my body, even to walk down to the "gym" (the outbuilding that houses our tack and gym equipment) or to ride our new horses much. I really felt terrible, and was beginning to start blaming it on my "age." Now, I have always been a person who refused to give in to any excuses for having an unhealthy or unfit body. When I was in my 20's and seeing other young women like me with their little broods of children (I myself had three before the age of 27) just let themselves go with the excuse, "Oh, it's just my baby fat." or "I can't lose this...I know I need to...but you know what having babies will do to your body." UGGGHHH. And I tried not to judge, all the while refusing to have that outcome for myself. It was in my 20's that I rediscovered weight training. I had started while running track in high school, but had stopped for many years. But when I started back up again, the results were amazing! But, doesn't life just get in the way? Working full time, going to school on top of that, and on top of even that....raising kids and trying to keep up a home! I definitely know how these years can be for many. But I have to say...I was fit. By the time I was pregnant with my fourth child in my early 30's, I had dialed my fitness down to the point where I kept the baby weight off in a healthy way, stayed fit through the pregnancy, and emerged....if not where I wanted to be...not too bad. Now, fast forward several decades later...I'm in my early 50's. And I have been so exhausted the past two years I have had no desire to keep up my health and fitness. And I have been ashamed. So very ashamed. I'm sure many of you know that feeling. I have put on weight...and true to what "they" say, the muscle has been shrinking and the fat has been emerging. Yuck. Then I came across the Whole30. I did not jump right into it. Nope. 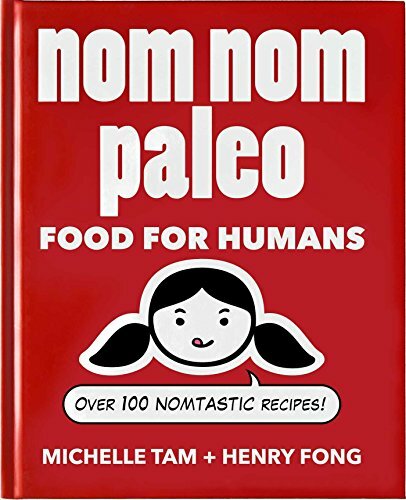 I did a TON of research, watched YouTube videos of people's experiences (I personally love watching Two Gentlemen Next Door), and read both of the Hartwig's books, "It Starts with Food," and "The Whole30." I talked to my husband, he got on board...and we began! Just 19 days ago!!! I'll explain the program in just a second, but first, here is what has happened in the past 19 days (we are on Day 20 now): We both sleep better, my husband and I have both lost weight. We do not know how much exactly, because one of the "rules" is not to weight yourself for the entire 30 days. And finally, the ENERGY is coming back. For me, this is such a relief! It has been worth the past 3 weeks just to start feeling better (both mentally and physically) again! It's a simple plan. The Hartwigs like to say, it is not hard. Fighting cancer and other life experiences are hard. But giving up smoking or other addictions (including food addictions) for 30 days is not hard. After starting this, and giving up all the things you must in order to clean up your body, I have to say that, for me, it was "hard," but that light at the end of the tunnel was worth it. Clean meats (including bacon as long as it has no added sugar---which is REALLY hard to find). Our go-to place for meat has been Whole Foods and a local CSA that sells grass fed pastured meat. LOTS of veggies and fruits. No sugar....at all. That means you have to be vigilant about checking labels because sugar is in just about EVERYTHING and ANYTHING processed. For example, you can use vinegar for cooking or dressings. I found this awesome dressing recipe calling for rice vinegar. Yay! I had all the ingredients! But WAIT! I decided I had better look at that label on the rice vinegar...just in case. Well, guess what? SUGAR was the third ingredient. I tossed it. And you have to become familiar with all the chemical names for added sugars too....there are like a million of them. (One little tip: pretty much anything that ends in 'ose, like dextrose, sucrose, fructose, etc. it a sugar.) The Hartwigs say to google ingredients you are not familiar with. We just decided to start eating unprocessed foods. It was easier than being disappointed and horrified by misleading labels. No alcohol. I guess that goes without saying, because all the plans say this. I have to admit to REALLY missing that glass (es) of wine after work every day. That was hard (for me). And my husband REALLY missed his beer. A few months ago, we just started brewing our own "healthy herbal" beers, too! How ironic. They are now sitting in our cold room....waiting for the day. No grains at all. NONE. This includes corn, wheat, rye, barley, rice, any kind of grain....and the Hartwigs even consider quinoa a grain. Again, you HAVE to look at processed food labels because wheat and especially corn (including some of the various forms of sugar like high fructose corn syrup which are corn-based), are in everything. No unhealthy fats like seed oils. You have to learn to know the difference, and I am still trying to figure this out. Again, I have just decided to use a few healthy oils that are "safe." My favorites are ghee (which is fine on this plan, even though it comes from butter), organic olive oil, avocado oil, and duck fat...which I found at Sprouts! And that's it! You eat like this for 30 days. You do not weigh yourself. Keep track of how you are feeling. You may feel kind of bad in the first week or two as your body detoxes, so if you know that may happen (and it may not happen), you can just power through it. The Whole30 Food Template is very easy, and I love it. I am a fan of KISS (Keep It Simple Silly). And this is it. You eat three meals a day. Each meal should have a palm-sized (your palm, not your favorite WWF fighter's palm) portion of good protein and then fill the rest of your plate, literally, with veggies and maybe a little fruit. How simple is that? Even I can do it! I am past the fatigue. The grumpiness. The cravings....OH, those cravings were SO bad in the beginning. I have not cheated once...even at our family reunion and one birthday dinner. (One of the motivations to not cheat, is that if you do, you have to start the whole thing over from Day 1....NO way). I have lost weight! I'll know how much in 10 more days. But my clothes are fitting MUCH better! I can get into things I could not get into 3 weeks ago (or even a year ago)! I finally have reached the energetic stage! And I'm loving it! And I can now get to sleep without any of my usual herbal tinctures (I am a fan of valerian and chamomile). I'm looking forward to Day 31, when I can see the final weight results. I have a feeling we are going to keep eating like this for a longer time. We just feel so good these days! I have to mention my husband's work real quick. He is in construction, and has a very physical job. His coworkers have even made comments about how energetic he is recently. And...they LOVE his lunches. :-) I have become the model wife....tee hee. I highly recommend you check out this program if you are interested in #1 becoming more healthy, and #2 losing a few pounds, and #3 getting rid of inflammation in your body. Get mentally ready first....the first 2 weeks are NOT easy, and you MUST be committed or it will not go well for you. Here is my newest favorite book. It has its own "altar" in my kitchen these days....lol. Seriously, I think I have looked at parts of it every single day. It keeps me motivated! And please check out the YouTube videos on Whole30. I found they helped me in the beginning a great deal! Great luck if you choose this path! Hugs & Self-Reliance (and Health)! P.S. Don't forget to sign up for the HHH Newsletter! Click on the image below if you want more information. This does happen to be an affiliate link, and if you do click on it, I thank you. It will help me keep up this blog I recently started. It won't cost you anything, it helps me, and it helps put the word out! I appreciate you, reader! Hugs...and Motivation! Jul 22 How to Make an Herbal Tincture (or Tea) for Eye Health! Jul 13 The Turkeys are GROWING! May 21 What is Happiness? And Joy? And How Did I Find Mine? Jun 20 How to Shop Like a Minimalist: 8 Things to Consider BEFORE You Buy That Thing!